We're down to our final two titles in our list of Top 10 VR Games and the award for second place goes to the ever popular Arizona Sunshine! 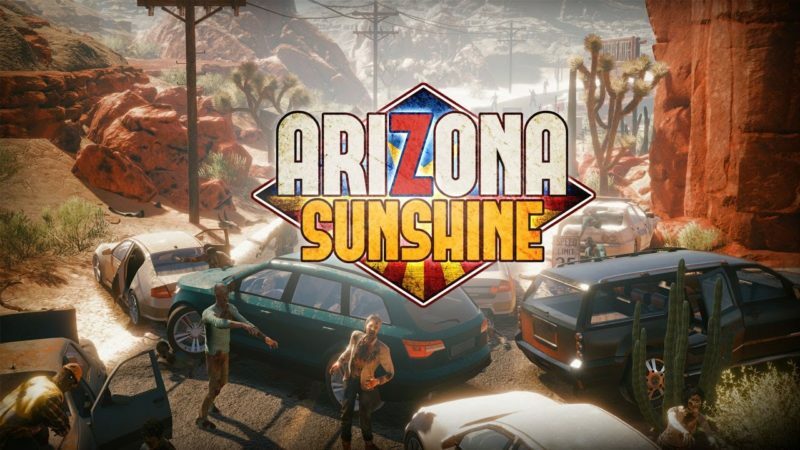 A zombie shooter like no other, Arizona Sunshine truly puts players in the midst of a zombie apocalypse, armed with only their wits and an arsenal of powerful weaponry. Experience a full story in the game's Campaign mode or see how long you can last in Survival, it's up to you! Move around the virtual environment, solving puzzles, collecting weapons, and most importantly - blasting zombies in the head. How prepared are you for the end of the world? Arizona Sunshine will put your survival skills to the test, whilst also being one of our very favourite Virtual Reality experiences to date! Fancy testing out your zombie killing skills for yourself? Just come ask for a free trial of today's Top 10 Game on site today! Our staff will be more than happy to help you test your mettle.